What mobile options are there? How can you find the best mobile phone deals? Are you looking for something different to what the big boys are offering? Could Giffgaff be the right provider for you? If you don’t mind a bit of quirky, you’ll probably get on swimmingly with Giffgaff - a mobile phone network that prides itself on doing things differently. Giffgaff is a mobile virtual network operator (MVNO) that was founded in 2009. Owned by Telefonica, Giffgaff has its fingers in a few pies, such as refurbishing and selling pre-owned mobiles, mobile phone deals and community-focused customer service. If you haven’t picked up on the vibe yet, Giffgaff aims to provide flexibility and freedom to its customers, and to differentiate itself from the “huge corporate mobile networks”. This is an interesting premise, as Giffgaff’s network coverage is actually provided by one of those 'faceless' networks - O2. Is that ironic? Like a free ride, when you've already paid. You might also know Giffgaff from its advertising campaigns. Remember the swimming pool full of guts? Or how about the one where a son interrupted his parents… actually, it’s probably best we don’t mention that one. Anyway, the Advertising Standards Authority (ASA) is certainly familiar with Giffgaff, due to complaints received about some of its more… creative TV ads. Oh, and Giffgaff doesn’t call its customers “customers” - they’re “members”. Giffgaff is definitely a quirky company, and its mobile phone deals are no different. Let’s take a look. One of Giffgaff’s USPs (unique selling points) is that it doesn’t offer contracts as it believes its members should be free to stay and free to leave, instead of locked into a fixed contract for two years. So what mobile phone deals does it offer? The following was correct in April 2018. With a sim-only deal, you’ll need to buy your mobile phone separately, and you’ll be allocated a certain amount of texts, calls and data to use within a month. When a new month starts, your allowances will be reset and if you want to switch to another tariff you’re not locked into a contract, so you can stay or switch whenever you like. As we mentioned above, Giffgaff doesn’t do contracts. But here’s a quick explanation of how contacts work, to make sure you’re fully informed about the different mobile phone deals you can get from other providers. Similarly to sim-only, with a contract, you pay a set amount each month for a certain allowance of data, texts and calls. Contracts are usually fixed for 12 or 24 months, and might have an upfront cost if it includes buying the mobile phone itself. You may also be required to pass a credit check, so if your credit score isn’t the best, a contract might not be the most suitable option for you. Another option that Giffgaff doesn’t offer... But we wanted to give you all your options when it comes to mobile phone deals, just in case Giffgaff doesn’t float your boat. A pay as you go (PAYG) deal requires you to top your phone up with money, which is then turned into credit you can use to make calls, texts and surf the web. When your credit runs out, you can just top it up again. Giffgaff has a plan (it’s not an add-on) they call “gigabag”, which is a data-only plan. You don’t get any minutes or texts, just mobile internet. Giffgaff don’t actually have any customer service phone lines – if you want assistance, you can ask other Giffgaff members for help on its online forums, or contact an “agent”. If your issue is still unresolved, there's a dedicated complaints team. Since its first year of trading, Giffgaff has been winning awards such as the 2010 Forrester Groundswell Award, the 2012 Mobile Industry Award for Best MVNO, and the 2014 Which? best telecom provider. While that’s all well and good, you should do some of your own research to make sure that Giffgaff is right for your needs. 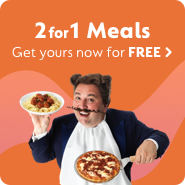 Go compare – why compare? Normally we’d make a point here about two years being a long time to be committed to a contract, so you want to make sure you get a mobile phone deal that suits you. But Giffgaff only does sim-only deals, and you’re free to switch whenever. It’s still important to compare mobile phone plans and providers though, to find out what the right deal is for you, whether that’s with Giffgaff or another provider.